Capital and Regional purchased The Mall in Walthamstow in 2002, with a focus on delivering an efficiently run shopping centre that meets the needs of the guests, customers and most importantly the community as a whole. The Mall Walthamstow sits at the heart of the community, and is a very central feature of the area. Therefore, we wanted to make the Mall’s 30th Birthday Celebration an event for all in the community. 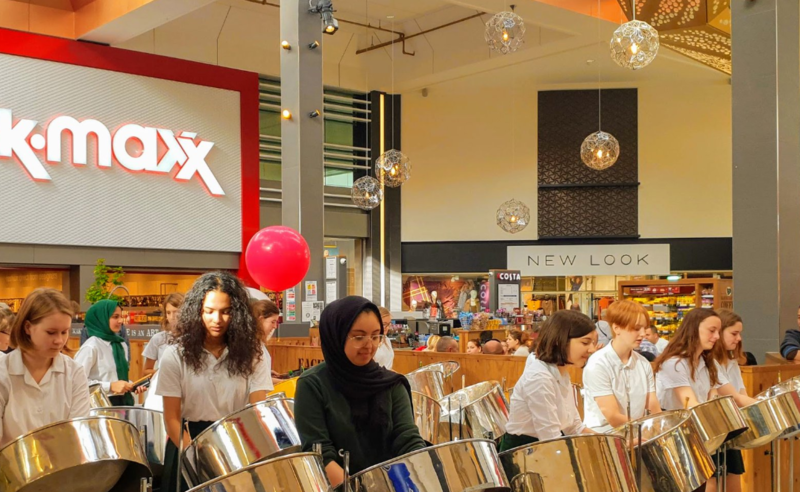 The key objectives we were asked to meet included creating engaging and creative content for the community of Walthamstow and to deliver a fun day of music and entertainment for all and to enjoy in celebration of 30 years of the Mall. With community being at the forefront of the 30th Birthday Celebrations we looked to local performers to be a part of the day. We had the Waltham Forest School for Girls perform a steel drum performance and the Waltham Forest Community Choir. There was also a performance from professional musical duo Mac & Nat. In true birthday style there was a large cake offering over 500 servings to everyone who walked through the Mall. There was an oversized present installation and a series of walkabout entertainment; stilt walkers, balloon modellers and a birthday magician. Communication with all persons involved in the event. Supplier and entertainment sourcing and management. Engagement with all interactives, shop owners and members of community. Delivery of a successful community based event in celebration of the Malls 30th Birthday.